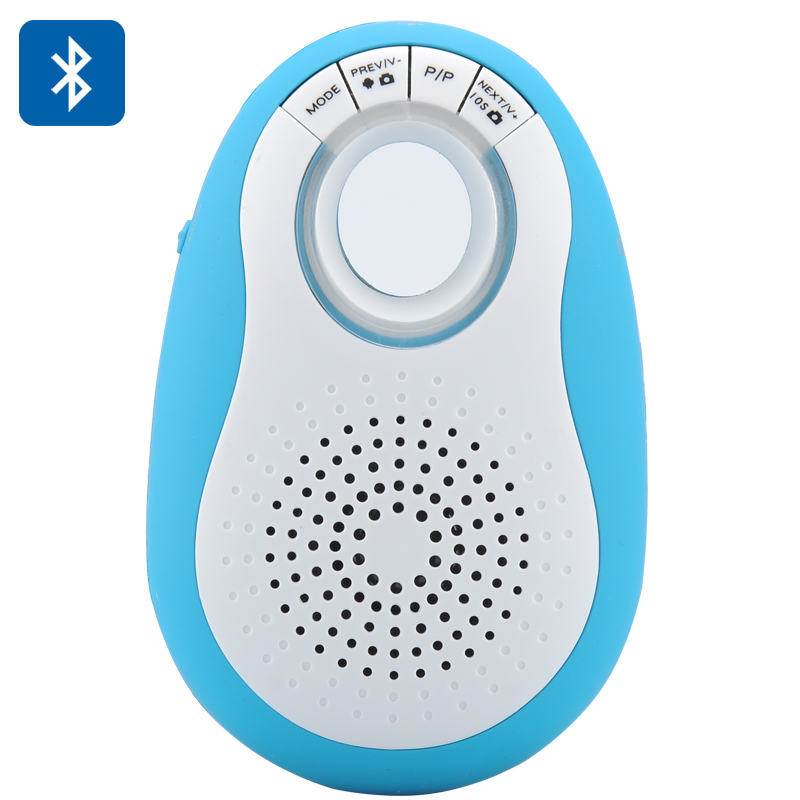 Successfully Added Mini Bluetooth Speaker + Camera Remote Shutter For Android / iOS - Micro SD Card Slot, FM Radio, Hands-free (Blue) to your Shopping Cart. The Mini Bluetooth Speaker and Camera Remote Shutter For Android / iOS as has a Micro SD Card Slot, FM Radio and can be used Hands-free. This excellent speaker is the best way to enjoy listening to your favorite songs wherever you are. Using Bluetooth version 3.0 for a more stable and consistent connection, you can stream your music directly up to a range of 10 meters with a 2.4GHz frequency. It can pair with your iOS or Android mobile smartphone to be used for hands-free, which is ideal when you are busy driving or cooking. No longer will you need to listen to your phone’s tinny speakers or hold it to your face to engage in a call, just sync it to this speaker for full comfortable listening and talking. Listen to your favorite radio station as you can tune between 87 to 108MHz frequencies. There is a slot that reads micro SD cards that are of up to 32GB, making it convenient to transfer music from your computer to this speaker. There is a built-in 400mAh battery with a 3.7V working voltage that offers a music playing time of 3 hours and a talking time of 5 hours. There is a shutter function support with this speaker that works with Android phones, so you can snap a picture by using this speaker as the remote control. This speaker with camera shutter function has a hanging rope design so it can be hung up out of the way to prevent it from being knocked off a table, plus as it has a Bluetooth wireless audio transmission that supports phone hands-free it is very diverse plus it can be used to connect to your computer or laptop as well. This product is in stock now, we guarantee next working day shipping and offer a 12 months warranty on all our products. Brought to you by the leader in electronic devices and wholesale Bluetooth speakers, Chinavasion. A tiny qute good product. Good built and sound quality.